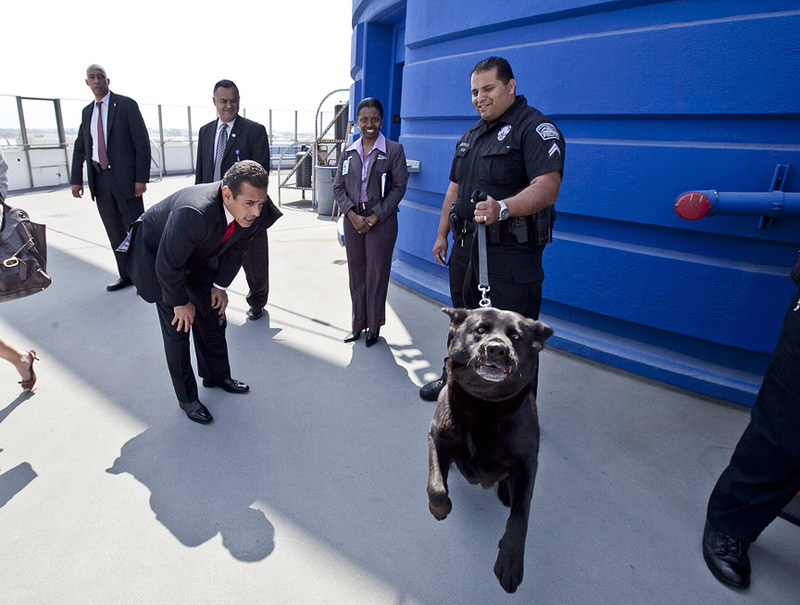 "Bady" a very large Airport Police bomb sniffing dog was a little more than upset at having his photo taken today at a press conference held at the LAX Theme Bldg. 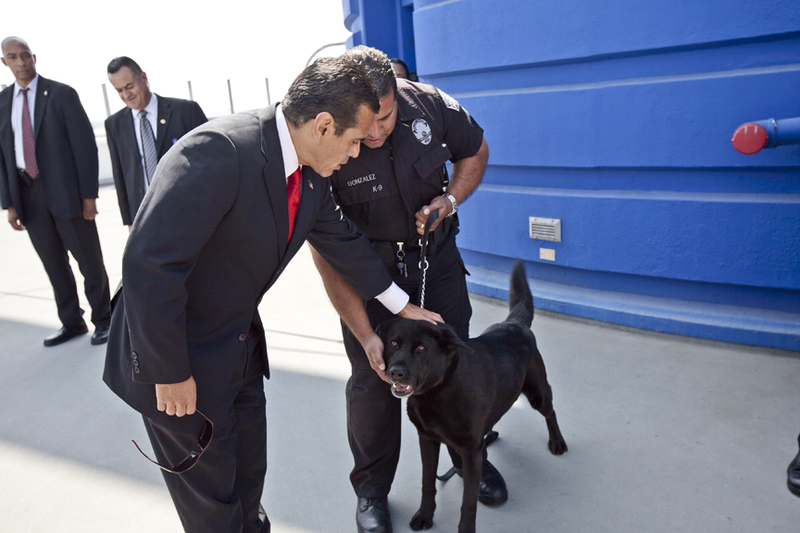 After barking and lunging at me a couple of times, L.A. Mayor Antonio Villaraigosa stepped in and calmed "Bady" down. Thank you again, Mr. Mayor.